After 26 books, investigative reporter and true crimes best-selling author Mark Shaw believes his newest book is the most important he has written to date. 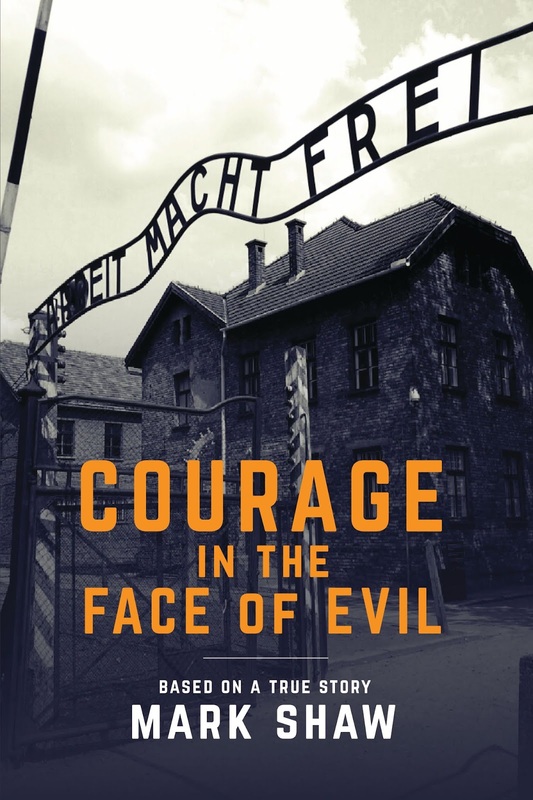 “Courage in the Face of Evil” is adapted from the actual diary of a German Christian nurse who endured more than five years in Ravensbrück, the only concentration camp exclusively for women in the German Reich. This November will mark 80 years since the camp was constructed, and it is believed that between 90,000 and 115,000 of the inmates at Ravensbrück did not survive. Although the subject matter was difficult, Shaw says capturing the voice of the book’s heroine, re-named Vera Konig in the book, was uncomplicated. The story, described by Shaw as both disturbing and inspiring, chronicles how Vera became a prisoner of the Nazi regime after helping hide many Jewish people, forging their passports and distributing anti-fascist flyers. Inside the concentration camp, Vera befriends a Russian orphan girl, hides her to save her from the gas chambers and when Vera cannot hide her anymore, risks her life and the little girl’s by trusting the guard who has shown Vera compassion. Shaw says Vera’s faith was tested many times during her ordeal. Shaw says eyewitness accounts of the Holocaust are not only important for historical purposes, but should be “stop and think moments” for today’s generation. A graduate of San Francisco Theological Seminary and former defense attorney, Mark Shaw is the author of 26 books. His best-seller, “The Reporter Who Knew Too Much: The Mysterious Death of What’s My Line TV Star and Media Icon Dorothy Kilgallen”, has been optioned by the Brothers Dowdle Production Company who produced Paramount Network’s “Waco” mini-series. Shaw was a legal correspondent for ABC, CNN, and ESPN, correctly predicting the outcomes of the Mike Tyson and O.J. Simpson trials. He has been a reporter for USA Today and featured on various television and radio shows. His book, “The Poison Patriarch: How the Betrayals of Joseph P. Kennedy caused the Assassination of JFK”, led to his appearance on the Reelz Channel special “The Kennedys”. Shaw is a member of the American Christian Fiction Writers Association and the Society of Professional Journalists. For more information visit www.courageinthefaceofevil.com or http://www.markshawbooks.com. ​How did you discover this diary? Describe the process of writing an entire book in someone’s voice when you have limited diary entries. There is a quote from Vera that says “good and evil both need deception to survive.” What does she mean by that? How does Vera’s faith change over the course of her experience in the concentration camp? Everyone loses faith during their spiritual journey and Vera was no exception. When readers listen to her voice they will hear how she tried to understand how the Nazis could be so cruel to others especially the children and failing that, cried her eyes out on a nightly basis. Several times she asked why God was not listening to her prayers, why He would not provide the miracles she sought so as to help others. During her most difficult times with keeping hope, God brought her, as she wrote, “a miracle,” a young child she could mother, she could love. This happening renewed her hope, her faith, and she was determined to save Andrea’s life at all costs, even if she died doing so. Jacob coming along was another miracle, his affection, her understanding that he was not the devil she thought he was. We must never forget what happened to cause the Holocaust— overbearing power by a true bully, one who believed he was some sort of god who could decide who lived and who died due to a boundless hatred for anyone who disagreed with him. In today’s world, we see examples everywhere of hate— school shootings, racial injustice, violation of women’s rights, bigotry— it is unlimited. By recalling the events of the Holocaust, we must learn our lesson— that love can overcome darkness. Our society is raising young people who complain when they are unable to use their smart phones for ten hours a day. 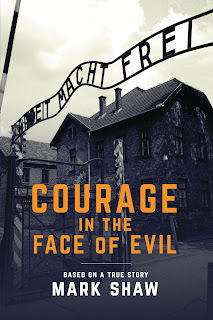 Hopefully books such as ‘Courage in the Face of Evil’ will help this generation recognize how others suffered unimaginable things from people filled with hatred causing young people to stop and think about what is most important in life, a willingness to spread love throughout the world, as it should be. Your last book is being made into a movie. Talk about that book and the prospects of Vera’s story also becoming a film. Women’s issues filter through many of my 26 books, but the subject of courage has been on my mind for some time since my latest book, “The Reporter Who Knew Too Much”, a biography of media icon and investigative reporter Dorothy Kilgallen, became a bestseller with a follow-up book, “Denial of Justice” to be released this fall. In TRWKTM, I presented the courage exhibited by Kilgallen who risked her life to discover the truth about the JFK assassination. This true crime murder mystery resonated with the prestigious Brothers Dowdle Production Company in Hollywood, producers of the TV series, “WACO” for the Paramount Network and they are currently developing the story for a film or TV series. From the moment “Courage in the Face of Evil” was discovered by certain producers, there has been an interest in developing Vera’s remarkable story for a motion picture. Two actors of renown have also inquired as to the film rights.